Dr. Mikio Sankey, Ph.D., L.Ac. developed the Esoteric Acupuncture and Advanced Energy Healing System to support higher spiritual awakening and to help individuals attune more fully to the energy shifts of the New Millennium. The Advanced Energy Healing System uses sequences of acupuncture points in specific geometric patterns to create higher spin field frequencies within the energy fields of both the practitioner and the person being treated. These higher frequencies align and open our heart center, which allows the frequencies of love to expand throughout our energy field. The expansion of the force field of love becomes the “Gateway to Expanded Healing” which opens our pathway to inner ancient wisdom. Acupuncturists and energy healers are invited to learn and experience this extraordinary Advanced Energy Healing System. Esoteric Acupuncture points can be activated by various means, including needles, touch, crystals, gemstones, tuning forks, magnets, sound, toning, the Beamer, selenite wands by Tom Ledder, and therapeutic grade essential oils (especially the set designed and sold by Dr. Sankey). A number of these methods will be practiced and experienced in the class. The intensive format includes lectures, discussion and extensive hands-on practice. The convenient course location is easily accessible from the Denver airport via bus or shuttle, and there are many restaurants as well as a Whole Foods Market within a short walk of the hotel. These courses have been approved by the NCCAOM for 26 PDA points. PDA Provider #1156. These courses have been approved by the California Acupuncture Board for 27 hours. CE Provider #1075. Dr. Mikio Sankey received a masters degree in acupuncture and Oriental Medicine from Samra University of Oriental Medicine in Los Angeles, California. 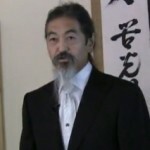 He received a Ph.D. degree in Oriental Medicine from American Liberty University in Orange, California.Dr. Sankey also has a Ph.D. degree in Health Sciences from Honolulu University specializing in nutrition and iridology. Dr. Sankey is a licensed acupuncturist (L.Ac.) in the state of California and is in private practice in the Los Angeles area with his wife Jikun Kathleen Sankey (O.M.D., L.Ac.) who is also a licensed acupuncturist. 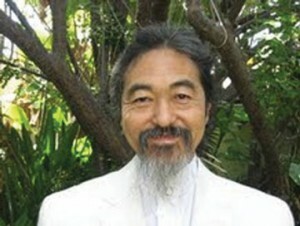 Dr. Mikio Sankey has five published books in the Esoteric Acupuncture series starting with Esoteric Acupuncture Volume I: Gateway to Expanded Healing published in 1999. The other books are: Discern the Whisper, Volume II, Climbing Jacob’s Ladder, Volume III, Sea of Fire-Cosmic Fire, Volume IV and Support the Mountain, Volume V. Dr. Sankey was recognized as the 2006 Acupuncture Author of the Year by the National Acupuncture and Oriental Medical Organization known as AAOM (now AAAOM) for the book Sea of Fire -Cosmic Fire, Volume IV. “Although I am just starting my study of Esoteric Acupuncture, my patients are making amazing breakthroughs on all levels.” – Christine, Kuhlman, ND., North Sutton, NH. ” I practice naturopathic medicine, and the way I am incorporating the beauty of Esoteric Acupuncture is with Acutonics Sound Healing bringing in the music of the spheres!.” – Christine, Kuhlman, ND., North Sutton, NH. “ I feel shifts in consciousness and notice my habits changing for the better.” – Jan Dunn, L.Ac., artist, North Hollywood, CA.